The compact A1 hatchback might be the smallest of the 105 different Audi models on sale in South Africa but far from being the runt of the litter it has enough grunt and cling to appeal to the lads and the kind of cootchy-coo coolness that the ladies love as much in cars as in their arm-candy gold-chained Chanel, purple Givenchy clutch and giant Louis Vuitton bags. In the make-up department the three-door A1 has quirkier styling and a younger, cuter pavement presence than the rest of the Audi clan and of course it prominently displays the four silver rings jewellery on the black front grille to leave you in no doubt about its Vorsprung Durch Technik pedigree. Clearly aimed at a trendier, younger market than traditional Audi buyers the A1 specs are high and the range of optional extras is long enough for buyers to personalise and accessorise according to individual bling fancies. Choices include interior colour options, styling packages, a wide choice of infotainment and multimedia systems and eye-catching customisation opportunities in the shape of a range of contrasting colours for the A1’s trademark roof arches. 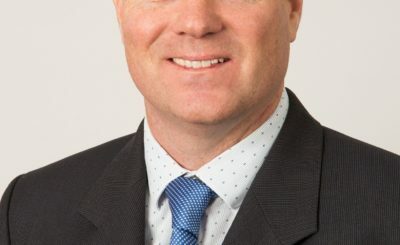 As is the trend these days the range is fairly wide with a seven-model choice between six petrol models (an entry-level 1.2-litre and five with 1.4-litre engines) and one 1.6-litre oil-burner, varying in price between R219 900 and R312 000. The interior décor, classy overall feel and finish, dash layout and even the design of the steering wheel across the range are typical Audi and although it is a compact hatch about the same mould as VW Polo, Citroen DS3 and Mini Cooper, the A1 is quite spacious in terms of seating and leg space for four adults. Getting in and out of the back is fuss-free but a silly ledge on the roof above the rear seats means tall backseat passengers keep bumping their heads, particularly as the headrests behind the back seats seem to be set a little too much towards the outside of the car which makes finding a comfortable sitting position not all that easy for the long ‘uns. A roof shade slides back to let in the sunlight which is pleasant in winter but could be a bit too much on bright sunny days for the back-seaters, particularly as the back windows cannot open. The luggage space is as one would expect from a compact hatch, better suited to naughty weekends away than long stay suitcases and paraphernalia. But practicality, rear passenger comfort and shopping bag space are probably less important to A1 buyers who will buy this premium compact because of the way the car draws attention to itself with its attractive, sloping roof, coupe-like C-pillars, bulging wheel arches, sporty alloys, sharply edged lines down its sides and unusual headlight clusters. 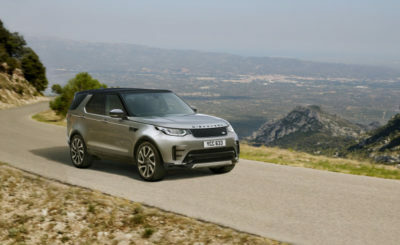 Other appealing factors include a smooth short-throw five-speed gear shift which helps to make the most of the growling chunk of metal under the bonnet, the car’s dynamic chassis and suspension set-up and its sure-footedness boosted by four low profile rubber paws which are planted at the car’s far corners. I recently had some play time with the only oil-burner in the range, the 1.6-litre, R247 000 turbo-diesel, which pushes out a healthy 77kW and 250Nm – and it didn’t take long for me to fall for the appeal of the little German’s keenness to trot and the confidence with which it clings through the corners. It might well have a few comfort niggles but the A1 is a great bundle of fun to drive, particularly if you point its cocky nose in the direction of quiet country roads and out of the way mountain passes. Although not as sporty as say a VW Gold GTi, it is no slouch off the mark (once the stop-start system allows the fun to start) and the car’s sporty set-up, nicely balanced weight distribution and sharpish steering make smiling easy. The hatchback’s ESP stabilisation programme with electronic limited slip differential plays along nicely without interfering too much and it’s always nice to know that the electronic nurse-maid is there to hold your hand should you start running out of road and experience. In addition to its stop-start system the A1’s other greenie-friendly traits include energy recovery during braking, sip-sip diesel consumption and emissions level low enough to free it from the government’s ill-conceived C02 tax. 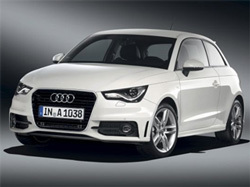 I have always had a soft spot for Audi but the diesel-powered A1 will not necessary be my first choice in this segment. It’s a tad pricey, the diesel engine is too coarse-sounding for my liking and I would find it difficult to live with its stop-start system. However, there is no doubt about its attraction to the young, trend-setting urban-chic market. Certainly when it comes to class, looks and road-holding the A1 sets the tone and its price-inclusive five-year/100 000km maintenance plan rounds off this classy package very nicely.